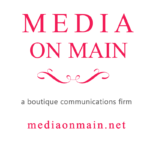 If you are a Malvern business and would like to be added or need your info updated, please contact us. Community wellness center located in Malvern, IA. Featuring state of the art gym, chiropractic care, massage therapy and all of your health needs. We offer all types of insurance and investment products including Auto, Home, Farm, Life, Health, and Mutual Funds. Hooves & Paws Rescue of the Heartland is the only "No Kill" Rescue/Shelter in Mills County, Iowa for Horses, Donkeys, Mules, Dog’s & Puppies. We have been proud to serve Iowa, Nebraska and all the bordering states working closely with law enforcement regarding cruelty & neglect cases since 2005. Hooves & Paws Rescue of the Heartland is a Non-Profit 501(c)(3) Corporation, 100% Volunteer based and has "No Paid Employees". 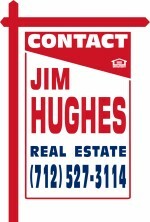 Jim Hughes Real Estate has been a family-owned business since 1973, with an aggressive staff of agents eager to work for you. We look forward to offering you the best in personal service to meet all your real estate needs. We offer an extensive range of listings, including residential properties, acreages with homes, land/lots/farms, subdivisions and commercial properties. We’re committed to providing you with the highest level of service, so you’ll always choose us for your model train needs. Family owned and operated since 1948, Kohll's Rx proudly offers pharmacy and medical equipment products and services. Kohll's Rx is the leader for all of your healthcare needs from prescriptions to wheelchairs, walkers, diabetes, ostomy, incontinence supplies, electric lift chairs, stair glides, vehicle lifts, mastectomy products and much, much more! Free delivery to all of Southwest Iowa! Our mission is to enhance the quality of life within our county by promoting healthy behavior, protecting the environment and preventing disease. The members of our health-care team provide a variety of services, which are based on a public/private partnership. 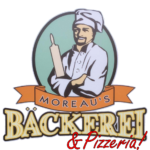 Moreau's Bäckerei is a family owned bakery that makes a wide variety of fresh delicious cookies, kolaches, cakes, cinnamon rolls, pastries and scones daily. We are focused on providing high-quality service and customer satisfaction at all times. Generations of Quality, Pride, and Friendliness. 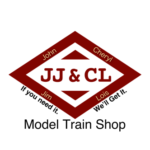 The finest small town store in the whole area; premium meats, homemade sausages and smoked products, and everything for the family! Enjoy our fully furnished guesthouse located just outside of Malvern! Power Seeding, Custom Fertilizer, Weed & Insect Control... certified & licensed! Call Larry Koger at home or on his cell at (712) 310-0251. Your lawn will love us! West Central Community Action's mission is to assist families and individuals to reach their highest potential. Serving Cass, Crawford, Fremont, Harrison, Mills, Monona, Montgomery, Page, Pottawattamie & Shelby counties. WCCA is an Equal Opportunity Provider and Employer.